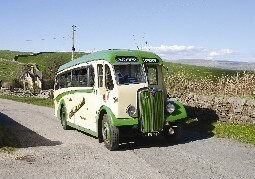 This event features around 250 ‘last century’ exhibits of working vehicles plus stalls and some children’s entertainment on seven sites in Kirkby Stephen, Brough and Winton, all connected by a frequent, free classic bus and coach service. Held over the Easter Weekend Saturday and Sunday, 30th & 31st March 2013, 10.00 – 17.00, no entry fees for both visitors and exhibitors alike. To stay in one of our nearby hotels, please call free on 0800 840 1240.